Experience unique Japanese snacks every month with a hand-picked box of candy from Tokyo Treat. With code SUPERMARIOTREAT, save 15% on the first box when you choose the monthly plan. Plus, Kotaku readers will score a bonus Super Mario Bros. keychain in all Premium Boxes. 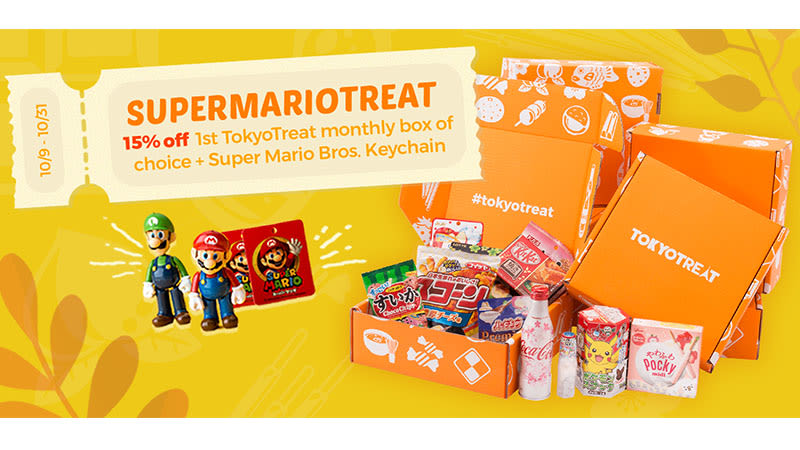 With promo code SUPERMARIOTREAT, sign-up for Tokyo Treat now and save 15% on your first box when you choose the monthly plan, plus free worldwide shipping. Code expires 10/31 10:59 AM EST.